The massive granite slab that fell Wednesday was seen as a rare event – but only because it turned deadly. 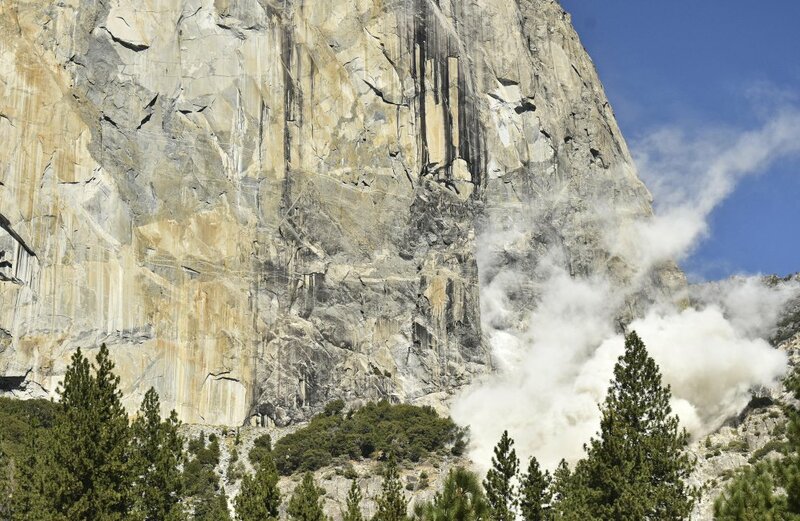 SAN FRANCISCO — A massive new rock fall hit Yosemite National Park on Thursday, cracking with a thundering roar off the iconic El Capitan rock formation and sending huge plumes of white dust surging through the valley floor below. It was not immediately clear if there were new casualties, a day after another slab dropped from El Capitan, killing a British climber and injuring a second. Climber Ryan Sheridan had just reached the top of El Capitan, a 7,569-foot formation, when the rock slide let loose below him Thursday. The massive granite slab that fell Wednesday was seen as a rare event – but only because the rock fall turned deadly, longtime climbers said Thursday. Rocks at the world-renowned park’s climbing routes break loose and crash down about 80 times a year. The elite climbers know it’s a risk but also rare to get hit and killed by the rocks.